You don’t have to go far for this tour as it is steps from The Marker Resort. Adjacent to our hotel is the Key West Waterfront Brewery, a local brewery and restaurant on the water at the historic seaport. In addition to the beer tours, this waterfront restaurant has some spectacular views of schooners, boats, and marina, especially at sunset. It offers something for everyone and is a kid-friendly, family friendly Key West restaurant that just happens to make beer in great location. A nice clean ale with a subtle honey-like sweetness that lingers just long enough. In its first brew, this beer took 2nd at the 2015 Best Florida Beer Championship Specialty Ale Category losing only to Hunahpu, the most sought-after beer made in Florida. A medium-bodied lightly toasted IPA with a malt character and a balanced bitterness. The piney hop notes carry through to the flavor. Finishes crisp and fairly dry. Standard American Lagers are the “regular” strength versions of the light American lagers. The style guidelines for this beer are almost identical as those for the light versions. The only difference is that the hop bitterness may go up to the medium-low level, the body is light instead of very light, and of course, the standard versions have higher calories and gravities. 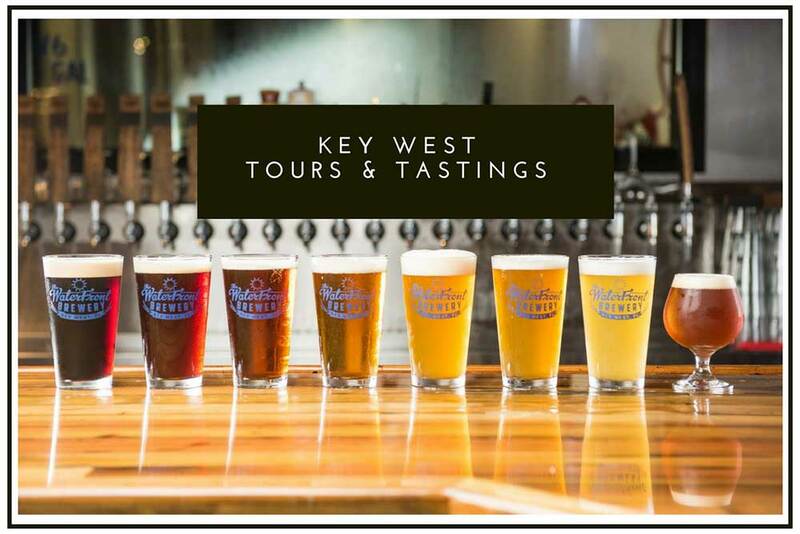 Key West Brewery Tours are 30 - 45 minutes long, scheduled for Thursday and Fridays at 5 pm and 2 pm every Saturday and Sunday. You’ll not only grab some fun facts about beer, but you’ll also walk about with a souvenir Waterfront Brewery Pint Glass. The cost for the tour is $15. Learn more about The Waterfront Brewery and see how drinking and learning go hand in hand! Private Tours are also available. Book your Key West Brewery Tour. OF EVERYWHERE HE TRAVELED IN THIS WORLD, ERNEST HEMINGWAY CHOSE KEY WEST TO CALL HOME. IT IS HERE THAT WE CHOSE TO CRAFT THE RUM NAMED IN HIS HONOR, PAPA’S PILAR®. Enjoy a leisurely stroll along the harbor walk with spectacular views of a marina filled with Schooners and beautiful boats ready to set sail as you head over to Papa’s Pilar Rum Distillery, Hemingway Rum Company, located at 201 SimontonStreet in the heart of Old Town. It’s a rum distillery, experience center, trading post and tasting room to add to your things to do and see during your stay in Key West. The tours are very informative, and you’ll even get to see rum making up close. When you take the guided tour, you’ll be able to meet the Rum Makers and see the bottling in action. The best part of the tour has been saved for last as you taste the delicious artisan rum. Mix in a touch of history, and this is a Key West tour Hemingway would approve. Guided Tours are every hour starting at 11 am. Tickets are $10 per person. 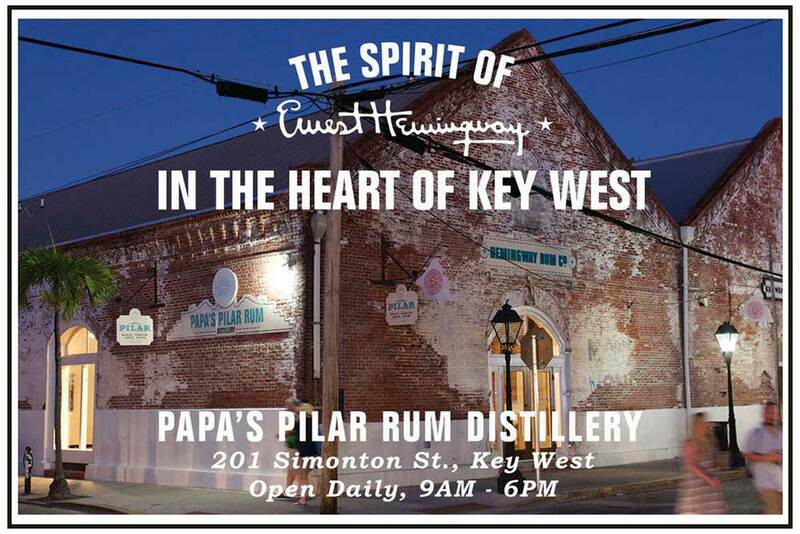 Learn about Papa’s Pilar Rum and take the tour on your next trip to Key West. Guided Tours every hour starting at 11am. $10 per person. If you are looking to try and fit in a little history, food, and cocktails on a walking tour in Key West, then this is it! What a great idea to combine all three in a short period where you can experience the best of Key West and go where the locals go on this walking and food tour. One of the most popular and signature food tours including the must-try foods like Key Lime Pie and Conch Fritters. 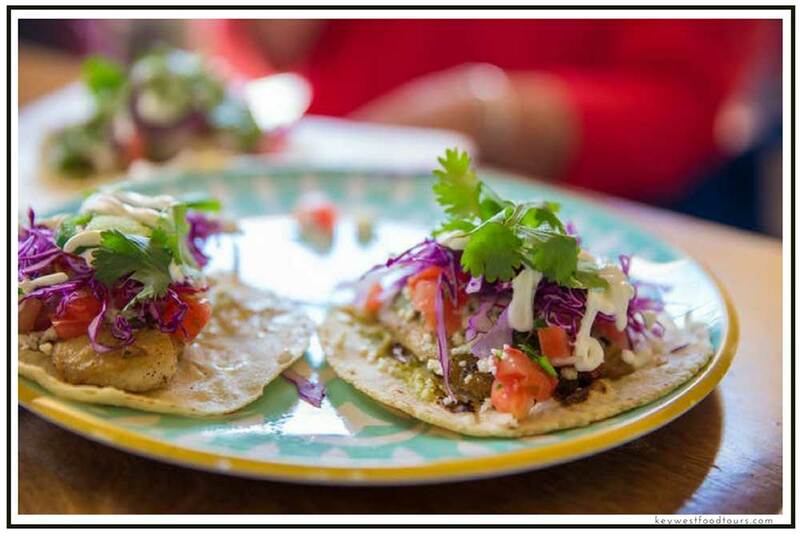 There are 5+ tastings, and you’ll learn fun facts mixed with a little history of Key West and the history and origin of Cuban cuisine, and their influence on our culture here in Key West. Our guests will enjoy this ‘best-all-around’ food tour of fresh local ingredients straight from our waters. Taste maritime history as you walk the historic seaport! Taste local ingredients like Key West pink shrimp, conch ceviche, and more! There are 5+ food & drink tastings. Discover hidden restaurants that locals dine at and so much more. The one tour that is Adult only and lasts 2 - 2.5 hours. You’ll go to locally loved hot spots that are off the beaten path and enjoy five tasty craft cocktails and 3 + tantalizing nibbles and historical tidbits to accompany your cocktails. It’s the ultimate happy hour experience with the happiest tour guides in town. All Key West Food Tour participants will also receive complimentary Food Tour booklet packed with coupons and recommended eateries. Make a reservation online and make sure to book your Key West Food Tour in advance.